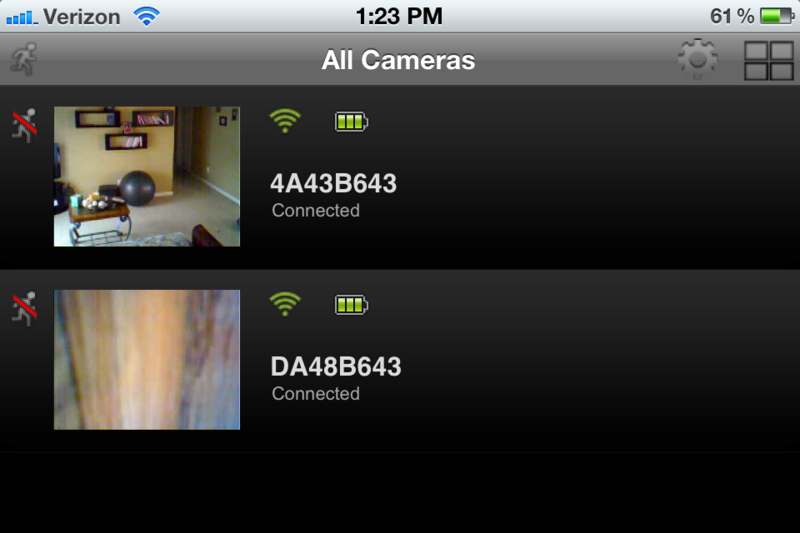 I’ll be the first to admit that I have absolutely no desire to have a video monitoring system installed in my house. But when the folks at VueZone asked me if I’d be interested in trying out the company’s motion-detecting camera system, I was intrigued. I had seen some systems in the past, from companies like X10, and they always seemed to be over-complex for the job at hand. With VueZone, I was told that all I had to do was plug in a base station to my router, press a couple of buttons and then I could access the cameras not only from my computer but from my iPhone too. So, I gave it a shot. 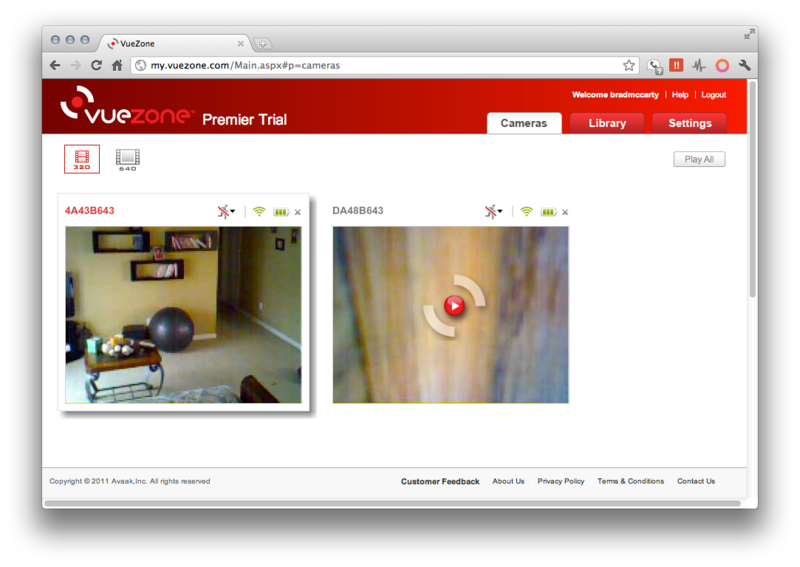 Setting up the VueZone system (the SM2700, with a base station and 2 motion-sensing cameras was sent to me) really was incredibly simple. It required only that I registered the base station on the VueZone site, then paired the cameras to it by the press of a button on each unit. Once they were set up, I could view them on the My VueZone site, or via a mobile app that worked equally as well on Android as it did on my iPhone. The mounting accessories that come with the SM2700 are quite nice. The cameras, which are small and very light, mount easily to a magnetc half-dome base. That base can stick to a surface via an included adhesive pad, or you can choose to use mounting screws to manage the same. Though the SM2700 only comes with 2 cameras, their field of view is good enough to cover the main living areas of my house after some thoughtful positioning. The best part is that, since the cameras run over your WiFi network, there’s no messing around with wiring. The only wires required, in fact, are an ethernet cable for your base station and the power cord for the same. Battery life on the VueZone cameras is stated to give you about 6 months when you view them for 5 minutes per day. Since I’ve only had this system for a few weeks I can’t tell you how accurate that is, but I can tell you that my battery levels (which are viewable via the mobile apps and Web interface) haven’t dropped at all. Picture quality from the cameras, in natural or bright indoor light, is very good. If you’re in the dark, there are UI-selectable settings for improving the picture, but it won’t exactly give you night vision. When you consider the price, at $289 for the SM2700 system that I’ve been demoing, VueZone has placed itself firmly into the middle of the market. It’s not the most expensive setup that you can buy, but it’s far from the cheapest. However, at a sub$300 price point, it’s the most robust and feature-packed personal security system I’ve seen yet.